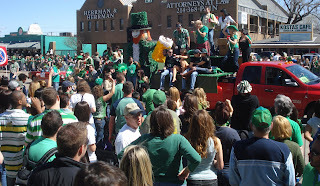 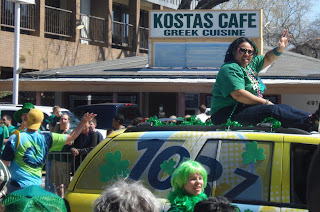 There's something about The St. Paddy's Day - Greenville Avenue Parade that draws Doug & I to leave our comfy, white bread and mayonnaise suburb of Plano at 10:30 am, hop a train and head to downtown Dallas where we get to join the crowd of hyped-up, beer-swizzling, bead-catching, green-loving party goers that sits well with us. 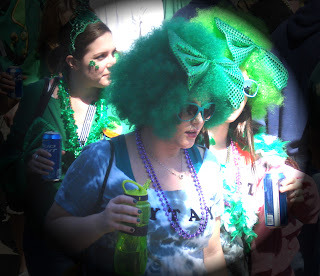 I guess it's kind of like slowing down to watch a car wreck. 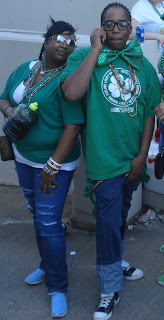 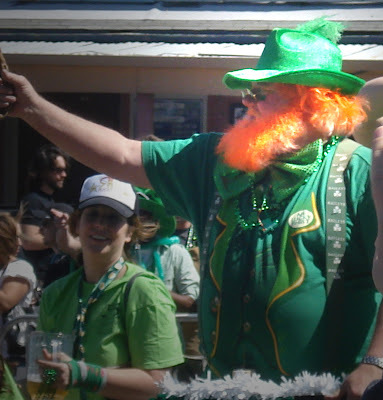 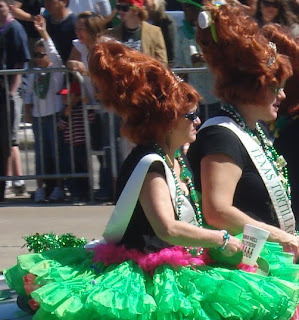 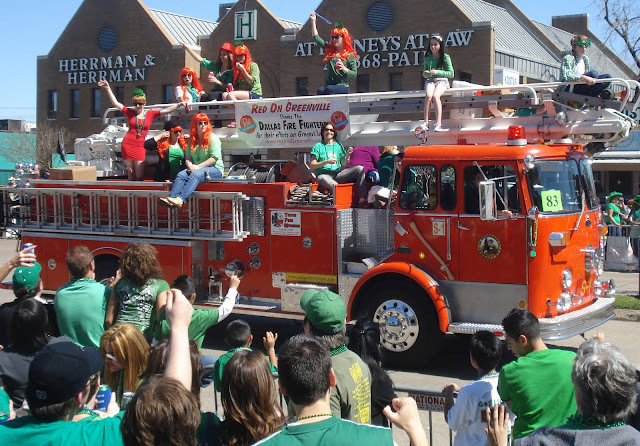 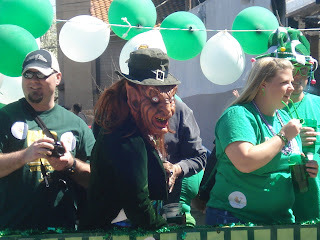 that's what I love about The Greenville Avenue St. Paddy's Day Parade.